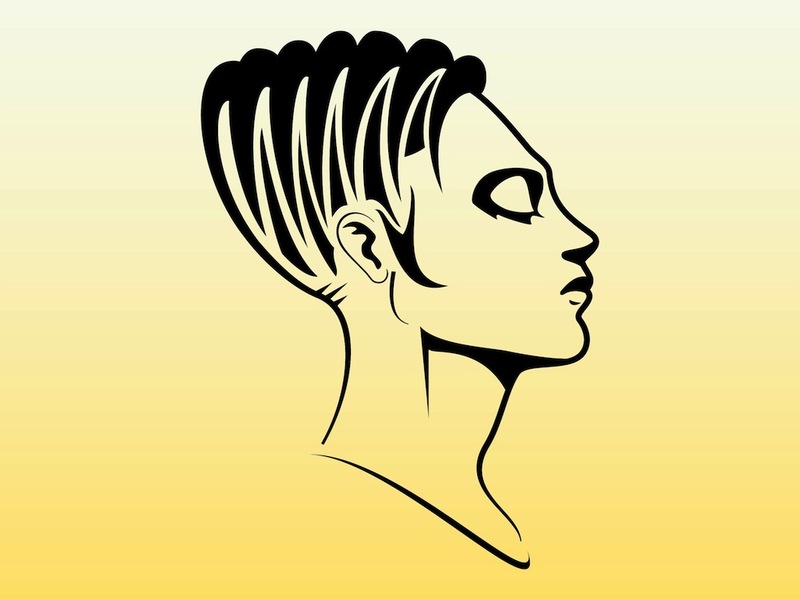 Vector image of a stylized woman’s face in profile. Futuristic illustration of a stylish woman or humanoid creature. Elongated back part of the head on the profile of the character, short hair, closed eyes and calm beautiful face. Free vector illustration for all modeling, haircut, futuristic designs, science fiction, aliens, extraterrestrial creatures and evolution projects. Tags: Extraterrestrial, Face, Future, Haircut, Humanoid, Model, Profile, Sci-Fi, Woman.